There are plenty of companies that sell RFID products. In iBlade there is a complete tailored to the customer RFID concept! We serve our clients from start to finish. 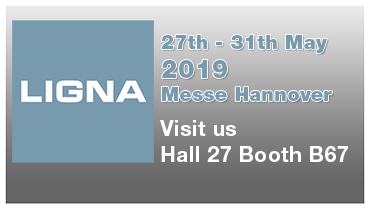 From March 14th to 17th 2018 we are exhibiting at LIGNA in Hannover. Visit us at the world's leading trade fair for tools, machines and plants for woodworking and processing. You have not found an answer to your questions?